UPDATED: Fri., April 6, 2018, 3:53 p.m.
David Stockton is sticking with the Utah Jazz. 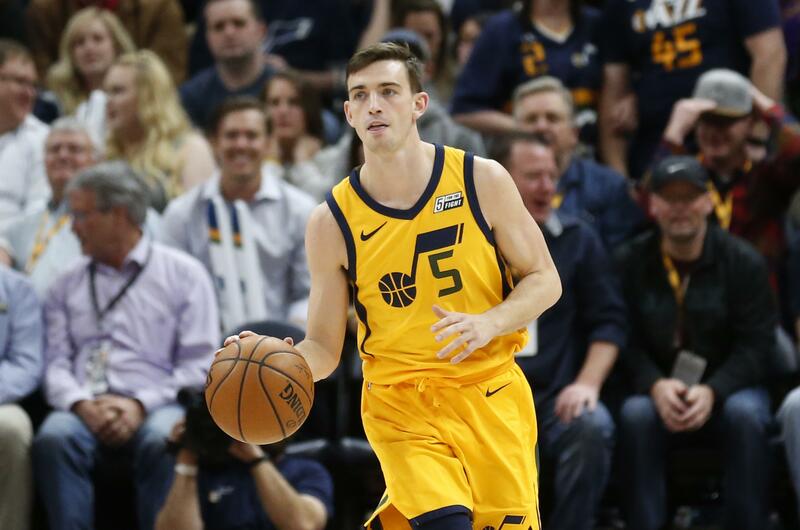 Stockton, son of Jazz legend and Hall of Fame point guard John Stockton, is expected to sign with the Jazz for the remainder of the season, Yahoo Sports’ Shams Charania reported. Utah had signed Stockton to a pair of 10-day contracts, with the latter expiring Thursday. The Jazz (46-33) have three regular-season games left before the playoffs begin April 14. They’re fourth in the Western Conference and fighting for homecourt advantage in the opening round. They’re two games behind No. 3 Portland and one in front of San Antonio and Oklahoma City. Stockton made his first field goal – a 3-pointer – in a home game as the Jazz routed the Los Angeles Clippers 117-95 Thursday at Vivint Smart Home Arena. The 5-foot-11 former Gonzaga Bulldog has played nine minutes in three games. He’s still looking for his first assist – John Stockton is the NBA’s all-time leader in that category – but the younger Stockton has hit 2 of 3 3-pointers and 4 of 4 free throws. Stockton played in three games with Sacramento during the 2014-15 season. Published: April 6, 2018, 8:58 a.m. Updated: April 6, 2018, 3:53 p.m.